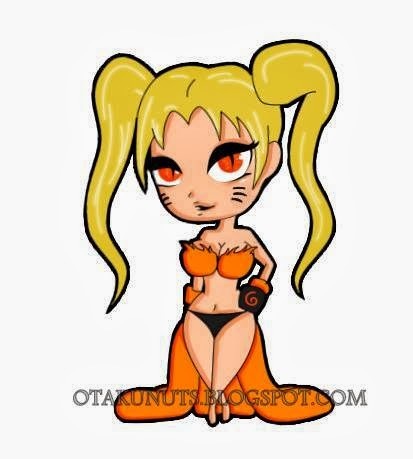 Otaku Nuts: NARUTO Chapter 670 Review : The Beginning...!! So, first... Hi everyone ! I'm the new NARUTO reviewer, here, on OtakuNuts ! I'll do my best to review this manga properly ... wait, wait, WAIT... who am I shitting there ? I'll mess up things, so you guys just put up with that, okay ? Right, so let's begin ! Wow, what a chapter ! Where do I start..? So, basically, this is one of the chapters I like to call "Ninja-History" chapters. it is no other than the Sage of the Six Paths who gives Naruto a lecture about his time. The chapter starts with Naruto, waking up in his "own dimension", thinking that he is dead. The man who appears in front of him (that the reader immediately identifies as the Sage of the Six Paths) starts talking to him in a manner that confuses Naruto (I'm guess that his Japanese is very old-fashioned, too much for our stupid Naruto). We finally learn his name : Hagoromo. He looks like a mix of Madara and Sarutobi, doesn't he. After spending the first half of the chapter in Naruto's WTF faces and Hagoromo's useless blabbering, Naruto understands who he is, remembering what Jiraya and Nagato said about the man. He urges Hagoromo to let him out, but since his survival depends on whether Obito and Sakura can save him, there's nothing the old Sage can do about that. Hagoromo then explains that he isn't the creator of Ninjutsu (created for wars) like Naruto thought, but of Ninshuu (created for peace). He then proceeds to tell Naruto about his family. His mommy, Kaguya Ootsutsuki, the strongest person ever according to him... A WOMAN !!! Coming from Kishi, can you believe that ?! But as powerful as she was, she's still a woman who committed the sin of eating a forbidden fruit (if you fail to see the reference, here, there's nothing I can do for you... and no, I'm not talking about ONE PIECE). What has been seen... well, you know the rest. And he also tells Naruto about his two sons : Indra and Ashura (who gets compared to Naruto). Indra, the little genius with Sharingan and Ashura, the one with nothing. Indra, who had the power to make anything he wanted come true, was the solo guy, but Ashura, the poor lad who had been forgotten by the powerful genes, had to rely on people, companions, in order to gain strength, as well as hard training. No, this isn't a déjà-vu pattern at all ! Come on, this isn't Kishimoto's style to recycle his characters' concepts ! Oh, hello Hashirama... and Madara, how many times did grand-ma ask you to STOP playing with her make-up ? Geez, and then you're wondering why your progeny gets called faggots..?! You started it ! Naruto can relate to Ashura, since he was also born into a powerful family, but didn't inherit their best characteristics (meaning Minato's intelligence and all of Kushina's strength). Both Naruto and Ashura also had a hard time to achieve things as kids, but ended up as powerful and popular shinobis. Because Ashura was a good leader, his daddy-o made him the successor of the Ninshuu, but of course, his bro wasn't exactly happy about that decision, and they fought each other. I enjoyed it. And this is coming from someone who usually hates "Ninja-History" chapters. I wish Naruto hasn't been so dense in the first part of the chapter, it would have saved some pages for more interesting content. On the other hand, I find the fact that he trusted Hogoromo so quickly strange. I would have spent less time making him act stupid, and more time making him doubt the Sage's identity. But, I think it is quite smart from Kishi to make both the two sons "inhabit" the two protagonists of the story (if I'm right about Indra possessing Sasuke), because this way, it means that they will both gain power, but not the Sage's power directly, as some people in the fandom thought (it would make them too OP). Overall : I'd give this chapter a 3.75/5. That's it ! I hope you guys enjoyed this (long) review, the following ones shouldn't be that long... this chapter contained too much information to keep it short. This NaruSaku (wor)shipper has secretly sworn to take over the world with her fluffy kawaiiness. But since she's too lazy for that, she spends her time playing video games, promising herself that her dominion will start after she's done with this one game. 734853478h4538 games later, she's still in bed. You may find her in her own kingdom, the only place she has managed to conquer so far: deviantArt. Hello, I'm that anonymous guy who doesn't like Bleach, hope I don't offend you with my opinions on Naruto ... wait, wait, WAIT ... who am I shitting here, of course I'm going to offend you. Previously, on Naruto, Kishimoto is a bit worried on how he is going to have Madara be beaten, after all, he has made Madara much to hax to be taken down in a satisfactory and sensible way. Kishimoto paces and frets about this, until he realized that Naruto was never sensible in the first place, and decides "to hell with it" and gives Naruto one final super saiyan form. Actually, why was Madara that strong in the first place? Isn't the next generation supposed to succeed the last? Why is some dead guy from the past the final villain, then? At least he's better than Tobi "my-crush-died-screw-the-world" Uchicha. But what about this chapter? Still lame. So a random sage shows up in Naruto's mind to tell him all about random ninja history shenangans. Why's he there anyway? He just hangs around in people's minds? Anyway, Naruto spends most of his time not understanding the magical sage dude. So much for "growing up" over the timeskip. It is more inline with Naruto's character,(from 2 years ago) but when you make him a Ninja-Messiah who will save the world, it's hard to go back, isn't it? And as usual, more Naruto and Sasuke paralells. I've heard of destined lovers but this is just ridiculous. And it turns out that one of them is inhabiting Naruto. So we have the Kyuubi, his dad, his mom and now an ancestor stuck in his head. Reminds me of Dragon Ball Z abridged. I know a lot of people who dislike BLEACH, which one are you 8) ? Haha, I'm not offended, I don't think BLEACH is a great manga either (I just happen to love some of the characters, but the story itself isn't amazing...). I get what you mean, but I do think that Madara being strong makes sense too. Actually, Kishi COULD have chosen a guy from the new generation to be stronger and be the final boss, but Madara was the most convenient choice I think. Since he is an Uchiha, his backstory is already settled in the manga. Plus, it allows Kishi to make the Hashi/Mada - Naru/Sasu parallel, which wouldn't have been the case if he had chosen a totally new guy as the last villain of the story (plus, this parallel is important as we can see in this week's chapter). But I think we all agree that any villain is still better than Obito anyway x). Yeah, as I said, it's strange that the So6P popped up in Naruto's mind without any explanation (well, we got one this week, but it's still a cheap one). And I think you're being a little unfair to poor Naruto ! It's not his fault that he's stupid ! I mean, he did grow up a lot, emotionally speaking. But his intellectual abilities are not going to magically develop in two/three years. There are some things that don't change, no matter how developed a character is : Naruto even though he is more mature now, is still an idiot. While Sasuke understands the value of feelings like love, is still a selfish prick. Sakura, while being an amazing kunoichi, is still a crybaby. These little annoying things might go away when they become adults, give them so time ! And yeah, there are just too many people in Naruto's head. IRL, we call that schizophrenia.